We offer our clients landscaping services, that can change the view of indoor as well as outdoor locations. The landscaping services provided by us includes paving of pathways, proper placing of water body, vegetation planting, lighting, placing of furnitures, placing idols, statues, sculptures etc in proper manner. 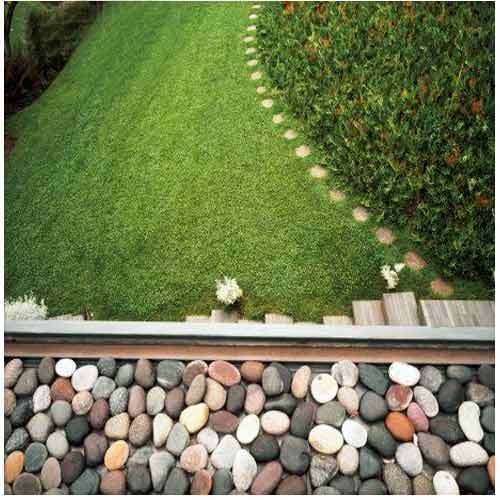 This helps in enhancing the look of the landscape around your office, home and other structures. We would like to introduce ourself as a professionally managed organization in the field of providing facility management services. We are a part of the varsed group of companies, of which varsed detective & security (p) ltd. is the flagship company, the first ISO 9002 certified indian company in the field of training and services. Also our organization got the best business sphere award from Dr. A. R. Kidwai, Governor of Haryana for the year 2007-2008. Our vast experience in the field of manpower (of all levels) handling, recruitment and training has been the strength of our various operations. Using these strengths as our backbone, we have launched our service operations, which would cover the entire gamut of services you would like to outsource and we will provide you hassle free services. We cover our employees against all statutory liabilities thereby setting you free. The services provided are listed below:- 1. Janitorial services. 2. Interior projects. 3. Comprehensive project on turnkey basis (civil, electromechanical, interior). 4. Lift, fireman and gardeners. 5. Maintenance of (electromechanical, plumbing, carpentering, lift, fire, gardening and fitting etc). 6. Catering services to (indian as well as foreigners). 7. Facility management related machines on rental basis. 8. Floor coating & maintenance of floor. We can provide well trained staff in their respective fields which will assure high levels of satisfaction. We are one of the leading service providers in our field in the country. We have been in this field for more than seven years and have successfully executing and providing services for various Fortune 500 Companies, MNCs and Indian sectors like it industry, corporate houses, hospitals, retail outlets, housing sectors, schools and manufacturing units like: m/s. Gillette India ltd., Bhiwadi (Rajasthan) & Baddi (h.p) m/s. Microsoft corporation india pvt. Ltd . (11-ITAs projects) Banglore, Hyderabad, Chennai, Pune, Nagpur, Gulbarga, Dharwad, Dehradoon, Jaipur, Bhopal, Aurangabad) m/s. Alstom projects limited. (4 projects) m/s. Tech books international m/s. P & G, beauty care & home products, baddi plant m/s. P & G, f & hc home products, Baddi plant m/s. Federal mogul, Bhiwadi plant (champion) m/s. Greatac gear, auto gear components, Bhiwadi m/s. Patni computers, Noida m/s. Rico auto industries, Gurgaon m/s. Score technology, Gurgaon m/s. Brico goetze, Bhiwadi plant m/s. Denave india pvt. Ltd., New Delhi-Bangalore m/s. Bharat seats limited, Gurgaon m/s. Psi-Gurgaon, dlf tower a, 4th floor and m/s. Hudco.